In the young, but burgeoning disc golf statistics arms race, the latest salvo has been fired by the Disc Golf Pro Tour. The six-event circuit unveiled its statistics platform yesterday, one that will allow users to instantly track player outcomes via a web-based portal or the free UDisc smartphone app, organizers said. 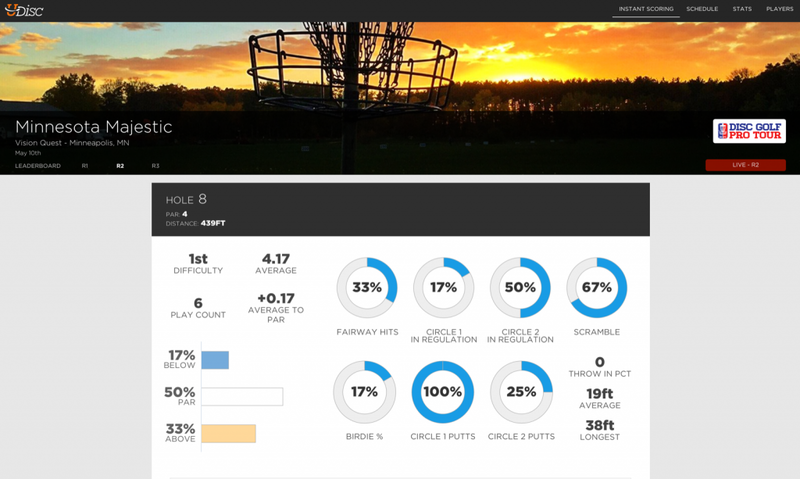 While the system tracks familiar metrics similar to those employed by the Disc Golf World Tour, the Pro Tour has expanded its coverage to include two putting circles – one from 10 meters to the basket, dubbed Circle 1, and another from 10-20 meters called Circle 2 – as well as fairway hits and scramble percentage, which tracks any time a player shoots par or better on a hole where he or she did not land in Circle 2 off the tee (or on the second shot of a par 4). UDisc creator Matt Krueger said the system took six months to build and was born from the desire to look deeper at the sport. The input for the system will be driven by volunteers following each card at a tournament. Once a player throws, the scorekeepers will track where the shot landed – left fairway, for example, or in the basket for a putt – as opposed to just recording the number of throws. Spectators can then follow the action in real time on the Pro Tour’s website or the free version of the UDisc app, where information can be displayed in various fashions, from overall tournament statistics all the way down to individual hole characteristics. UDisc co-founder Josh Lichti said the application’s sorting capabilities will allow fans to easily break down a golfer’s performance. The app will also feature access to SmashboxxTV’s live streaming coverage of each event, a development that Smashboxx producer and co-owner Jonathan Van Duerzen praised. “With the statistics that UDisc provides, we will be able to give our viewers up-to-the-second stats and scores on the fly,” Van Duerzen said. And while the app is primarily geared toward fans, that doesn’t mean the players won’t check it out, as well. While he said he would not use the metrics to break down his game – most players do it more by feel, he said – Nate Sexton acknowledged the fun factor involved in the proliferation of statistics flooding the sport. The enhancements to the UDisc app will launch at the Vibram Open in late June. 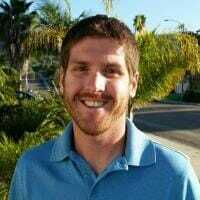 Comments on "Disc Golf Pro Tour Unveils Instant Stats Platform"